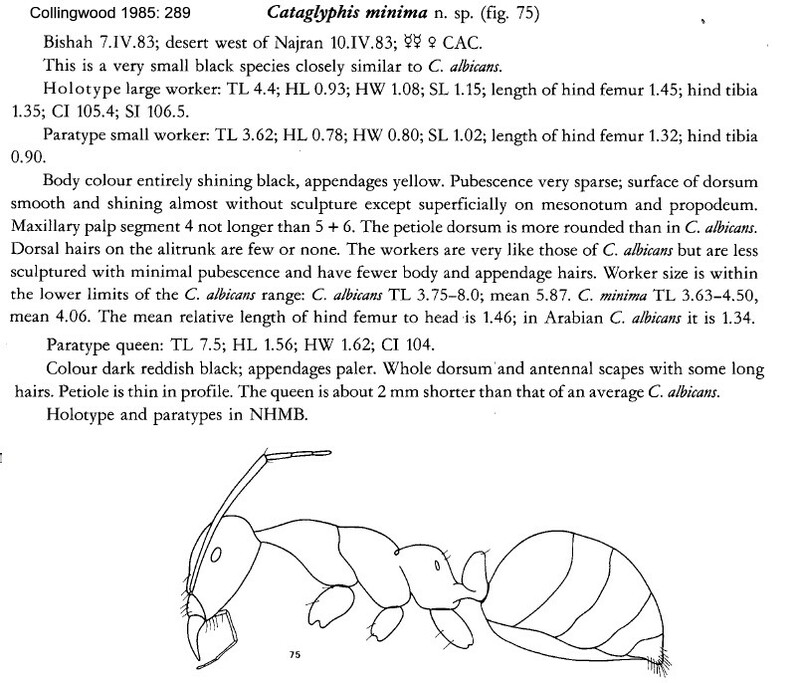 Type location Saudi Arabia (C. minima, Collingwood, 1985: 289, illustrated, worker & queen; name as in Bolton, 1995: 136) - no images on Antweb (March 2015). Collingwood's (1985) description is at . In albicans species-group (Agosti, 1990: 1495) . Egypt records - Mohamed et al (2001); now recognised as a mis-identification for what is to be described as Cataglyphis agostii.